Jeremy Knight spent 20 years as a B2B publisher, building titles such as private equity magazine, Real Deals. But, with the growth of digital technologies, he had a strong sense that helping to put clients in control - making them the publisher in a new media age, was not just a good idea, it was a foundation for a business. He launched Equinet Media in January 2009. 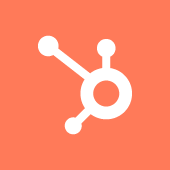 The Cambridge HUG is an informal group of inbound marketing professionals that meet quarterly to learn about current best practices and how to get the most out of using the HubSpot software. The Group is suitable for anyone who has an interest in learning more about inbound marketing, inbound sales and growth driven design. You do not need to be a HubSpot customer to attend a HUG meeting. Our next Cambridge HUG will be taking place on Thursday 21st March 2019, same time (6.30-9.00), same place (Hotel du Vin, Cambridge). We will let you know more details about the speakers and topics to be covered in due course.